LONDON (Reuters): Oil fell to around $53 a barrel on Wednesday, pressured by rising output in major OPEC and non-OPEC producers and concern about an economic slowdown that could weaken demand. Russian production hit a post-Soviet record in 2018, figures on Wednesday showed. Earlier this week, official data showed US output reached a record in October and Iraq boosted oil exports in December. Brent crude LCOc1 fell 70 cents to $53.10 a barrel at 0838 GMT. On 26 December it reached $49.93, the lowest since July 2017. US crude CLc1 slipped 62 cents to $44.79. 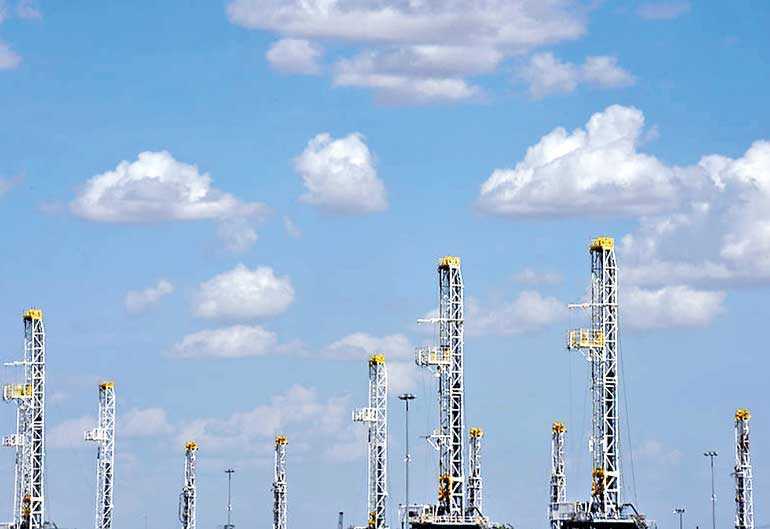 “The omens are far from encouraging,” said PVM oil broker Stephen Brennock about the price outlook for 2019, citing rising non-OPEC supply and the likelihood of further increases in oil inventories. Oil fell in 2018 for the first year since 2015 after buyers fled the market in the fourth quarter over growing worries about excess supply and economic slowdown. US crude slumped nearly 25% and Brent by almost 20%. Adding to concern about economic slowdown, a series of purchasing managers’ indexes for December mostly showed declines or slowdowns in manufacturing activity across Asia - the main growth region for oil demand. China issued its first batch of crude import quotas for 2019 on Wednesday at a lower volume than for the same batch a year ago though expectations are for the volumes to climb later this year.Independent market analyst Greg McKenna said in a note on Wednesday that it was “difficult for traders and investors to ignore what looks like a genuine global economic slowdown.”The signs of rising production illustrate the challenge faced by the Organisation of the Petroleum Exporting Countries (OPEC) and allies including Russia, which are returning to supply restraint in 2019, to support the market. But OPEC is hopeful the supply-cutting deal will work. The Energy Minister for the United Arab Emirates said on Tuesday that he remained optimistic about achieving a market balance in the first quarter.